Ever wondered what happens to the children of your favourite monsters from myths, legends and the big screen when they go out to work? They go to Stomp School! 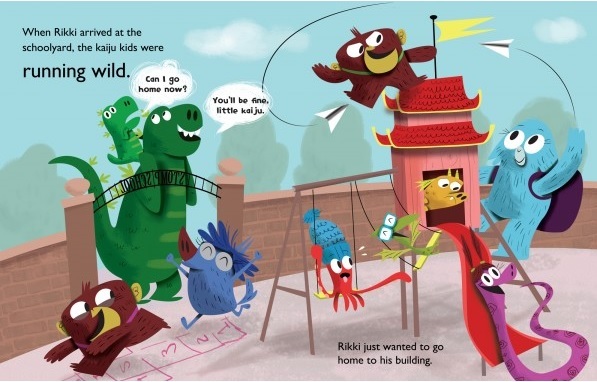 Find out what chaos they can generate on their first day at Stomp School. 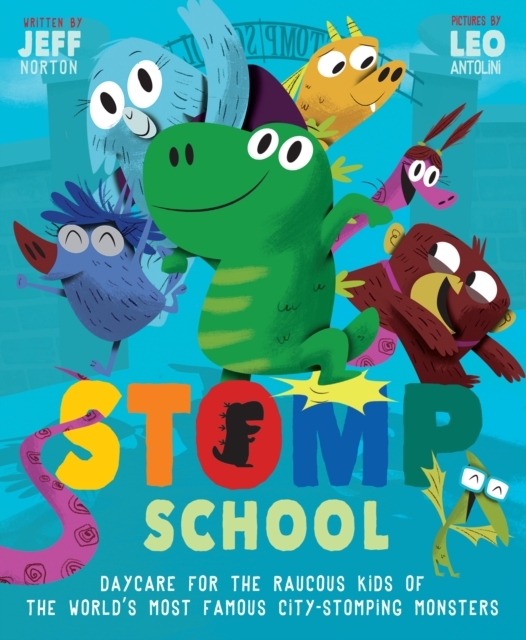 Stomp School is a new release brought to you by Little Tiger Press, is suitable from 3 years and upwards and costs £6.99. From Sherpa the thrill-seeking yeti to Draglo the daring dragon, Terry the day-dreaming pterodactyl and Rikki the sensitive but intrepid dinosaur, children and parents will be able to relate to the multitude of personalities demonstrated through these loveable little beasts! Jeff Norton’s larger than life storytelling style combined with Leo Antolini dynamic and animated illustrations bring this story of creativity and destruction to life. The book’s classic theme of destruction and rebuilding is a story all toddlers will love and parents everywhere will find it rather familiar. Jeff Norton is an award-winning author, writer-producer, and founder of the creative incubator, AWESOME. Before embarking on his own creativity, Jeff was Senior Vice President of Chorion Ltd., which managed the literary estates of Enid Blyton and Agatha Christie, and a marketing executive at Procter & Gamble. Now, he creates compelling characters, amazing stories, and immersive worlds for all ages, in all media. Originally from Canada, Jeff now lives in London and when he’s not writing, Jeff spends time with his young family, runs on Hampstead Heath, and tweets @thejeffnorton. Leo Antolini has been drawing for as long as he can remember and cartoons have been a major influence on his work. A self-described nerd, he is always interested in learning new things. Designing characters is his absolute favourite thing to do, especially animals, which he loves! Leo is from Buenos Aires, Argentina. How would you like to win a copy? To enter all you need to do is use the Gleam form below! Good luck and don't forget to enter my other blog competitions. I'd love to win for my twins. They are obsessed with 'superworm' at the minute. It is a good book but gets stuck in your head!! I would love to win for my Grand-Daughter, Ellie, thanks. Nephew. I think it would be a wonderful read for him and his brothers. Seems fun, having a variety of colourful characters. This one books seems the perfect and I hope that it will be best selection for children to make them able to learn new things. I would love to win this for my little niece. Thanks for this lovely giveaway. This would be great for my step-granddaughter! My granddaughters would love it. Our 4 yr old would love the story as she too starts school in September, and our 8 year old very keen and talented cartoonist would love the illustrations. I'd love this for our little one! Will love to win for my daughter. My youngest boy, he loves storytime! What fun. I would like to win this for our youngest. We absolutely love reading and my daughter adores books! Her current favourite book is Peace at Last by Jill Murphy. Would love to win to give to Santa for a headstart. I would love this for my grandson Zackery! I'd like to win this for my little boy.